This summer school ‘Fragmented Waterfronts’ will focus on the rapidly changing coastal areas of New York City. During the past decades, New York City’s waterfronts have gone through a vibrant period of constant changes: of demolition and rebuilding, often overlooking the area’s social, programmatic and spatial complexity. 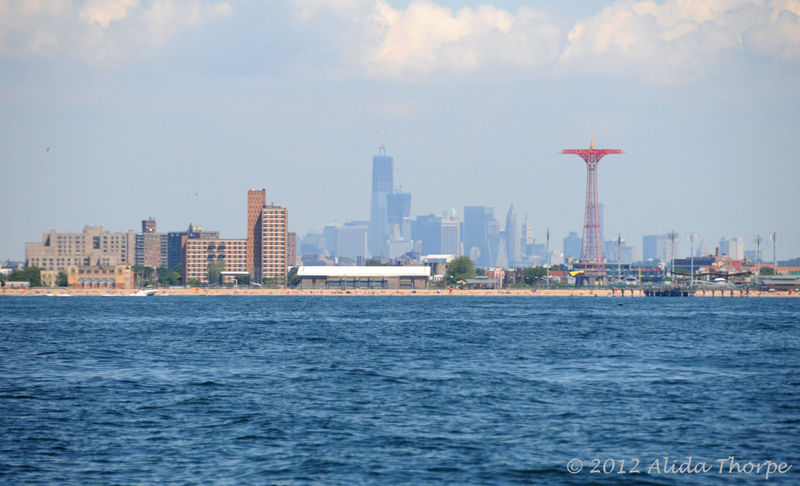 During the timespan of this summer school, the participants will focus on one crucial coastal region: the Coney Island Creek in Brooklyn. An area with a complex coexistance between industrial, residential and recreational facilities that is also vulnerable to climate change. This Summer School seeks to explore possibilities and opportunities of this area by conducting on-site research, question stakeholders, drawing and mapping, groupwork sessions and debates with local professionals. This hands-on summer school aims to generate new architectural and urban design strategies to create a future redevelopment vision for the Coney Island Creek. During the course of this summer school, visits will be planned to several institutions, including the Urban Design Forum, the Municipal Art Society and Pratt University. Participants of the summer school can use these opportunities to connect with local professionals, researchers, organizations and institutions. 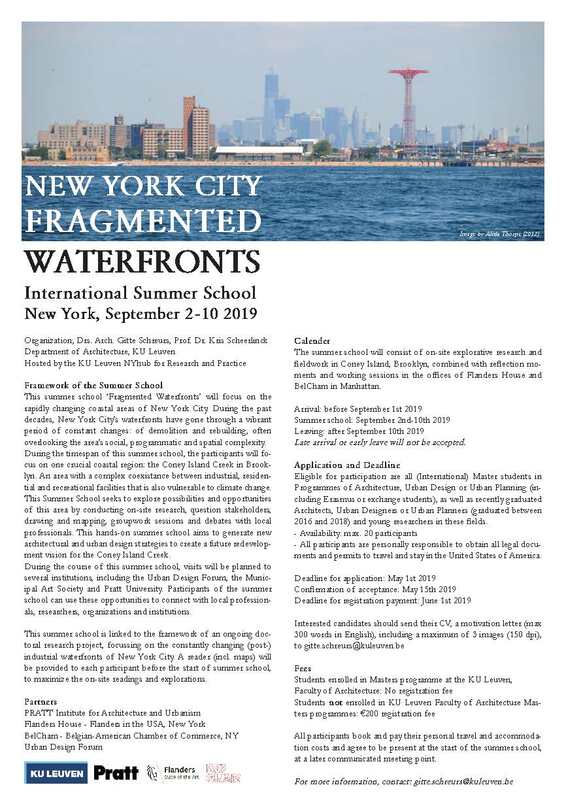 This summer school is linked to the framework of an ongoing doctoral research project, focussing on the constantly changing (post-)industrial waterfronts of New York City. A reader (incl. maps) will be provided to each participant before the start of the summer school, to maximize the on-site readings and explorations.